This month Main Street Arts is displaying more than 100 works of art by 40 alumni of its artist-in-residence program, which has been in place since 2016. In the main level gallery, "Artist in Residence Alumni Exhibition" continues through May 17. And opening this week in the second-floor gallery is 'Eccentric Energy: Sculpture by Bill Stewart,' featuring a cross-section of his work from the 1970s to 2017. 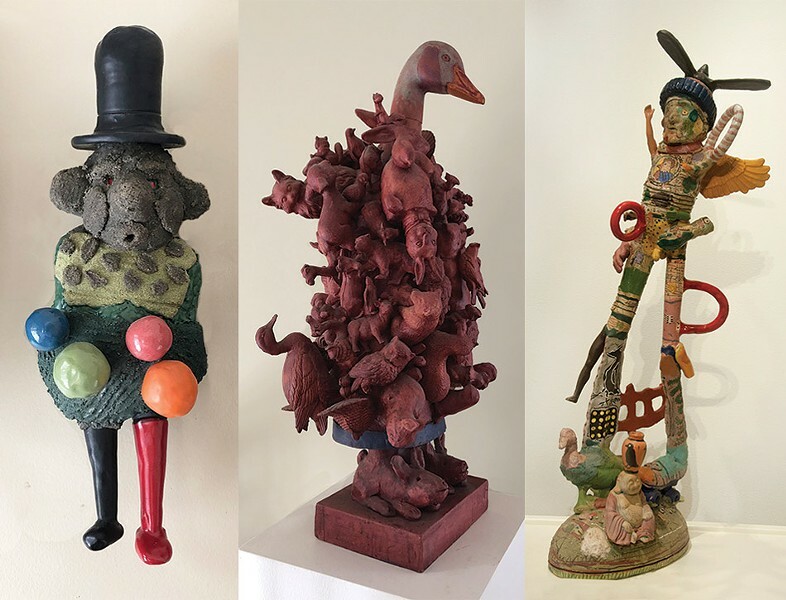 Stewart's work is inspired by the work of children, outsider, and folk arts, and this show is being held in honor of his career, as he prepares to leave the Rochester area. An opening reception will be held in collaboration with the Rochester Art Collectors on Friday, April 12, from 5 to 8 p.m., with a talk about Bill Stewart's work at 6:30 p.m. by former Dawson Gallery owner and blogger, Shirley Dawson. "Eccentric Energy" continues through April 27 at Main Street Arts, 20 West Main Street, Clifton Springs. Free. Gallery hours are Tuesday through Saturday, 11 a.m. to 6 p.m. 315-462-0210; mainstreetartsgallery.com.